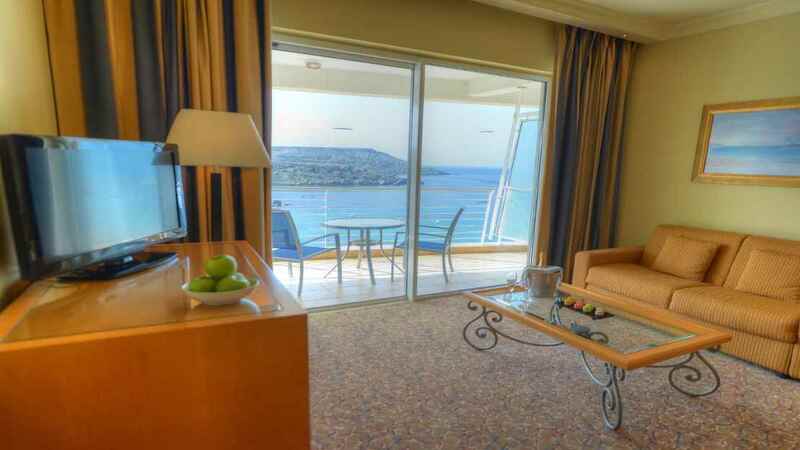 Overlooking the soft sands of Malta’s Golden Bay with towering palms and glistening turquoise swimming pools, the Radission Blu Resort and Spa is the ideal choice for a sun-soaked holiday. Enjoy a range of activities onsite from tennis to jet skiing and dine on delicious cuisine in the hotel’s own restaurants. While away your sunshine hours under a glorious sun on the vast sun terrace, or instead venture out and about in search of local culture and history. 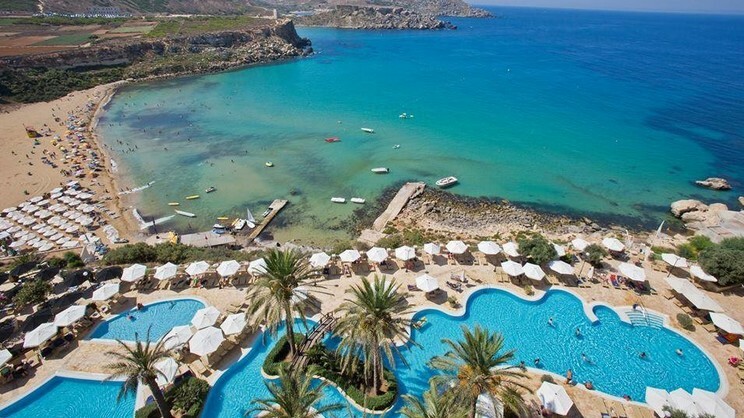 The hotel enjoys a beachfront location overlooking the stunning sands of Golden Bay Beach on the north west of Malta. Perfectly perched in a sandy bay, the Radission Blu Resort and Spa enjoys close proximity to a small number of local bars and restaurants as well as enjoying a range of onsite facilities. Malta International Airport is approximately 21km away from the hotel.